Harry Romero & Joeski "Get It Right" w/ Traxsource. 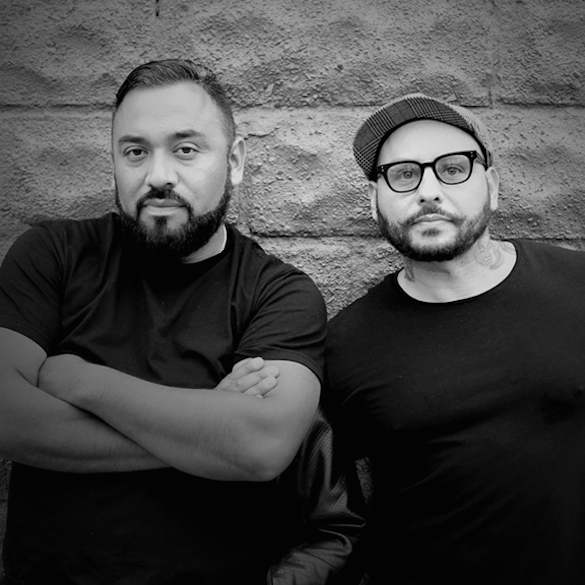 Harry Romero and Joeski have had their respective successes in the house music scene since the early nineties with plethora of dance-floor filling music, and ‘Get It Right’ looks set to continue that tradition. Between them they have had releases across a wide variety of labels like Strictly Rhythm, Nervous, Toolroom, Ovum Recordings, King Street including their own imprints Bambossa and Maya, as well as Subliminal, Suara and now Defected. They’ve worked with many of the scenes notable figures like Little Louie Vega, Roger Sanchez, Kenny Dope, Junior Sanchez & Robert Owens and as far is DJing goes, the list of clubs & high profile events they’ve played is simply too long to count. Their latest release on Defected entitled Get It Right combines soulful and ‘feel good’ house with a darker, deeper sound for a perfectly balanced result. We caught up with the both of them to discuss the collaboration, the industry and much more in this EXCLUSIVE INTERVIEW. “Get It Right” available now on Traxsource via Defected. 1) You’ve both been in the industry for a long time. How did you first meet? We met in the early 2000’s at gig we played together somewhere in Europe. We have been friendly ever since and have supported each others work. 2) What made you want to come together and work on this “Get It Right” release? Well, we both have had a kind of rebirth in the last year or so and we saw each other at the Clevelander for the House Gangster party in Miami and complimented each other on our latest works. That same night we agreed to get together when we both got back from the Winter Music Conference. Our first sessions were at the beginning of April and that’s where we created a bunch of new tracks. We really clicked in the studio and have very similar points of reference musically. After banging out the real raw, tracky stuff we both agreed the next logical step was to bang our heads together and create a vocal track. 3) When working on a collaboration like this, what is the approach you take? Joe and I are constantly working in our own studios coming up with new grooves and when we link up we play our latest and greatest and see what works with what. We both are heavy programmers and have a tuned ear to what’s dope or not. In this case it was a sound from me, a sound from him, a hi-hat here, a snare from over there and at the end of the day we came up with a real moody groove that was screaming for a vocal. We picked up the phone and scheduled Shawnee Taylor for a recording session. 4) You’ve been in the game such a long time, what keeps each of you motivated? What keeps us motivated is the love and respect we have for this music and wanting to share what we feel and hear with the world! 5) What do you think is missing in the industry? What would you like to see more of in the future? We think that what’s missing are A-sides. It’s not rocket science to come up with good, solid grooves, but what separates the men from the boys is the ability to make a song! 6) What upcoming projects should we look out for from you both? We have a follow up to ‘Get It Right’ with an amazing vocalist called Jesante. She is the new blood of house music and it is our pleasure to have her on this new track. We also have a new EP called ‘The Ghetto Jazz Experience’ which explores the real raw and dubby, tracky side of our sound and that’s coming out on a very important label. We also have a really cool show coming up for the BPM festival where we will be rocking 4 decks. Look out for HR & SKI projects coming soon & lots more in the pipe line but too early to talk! Harry Romero artist page & releases on Traxsource. Joeski artist page & releases on Traxsource.